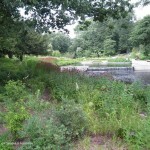 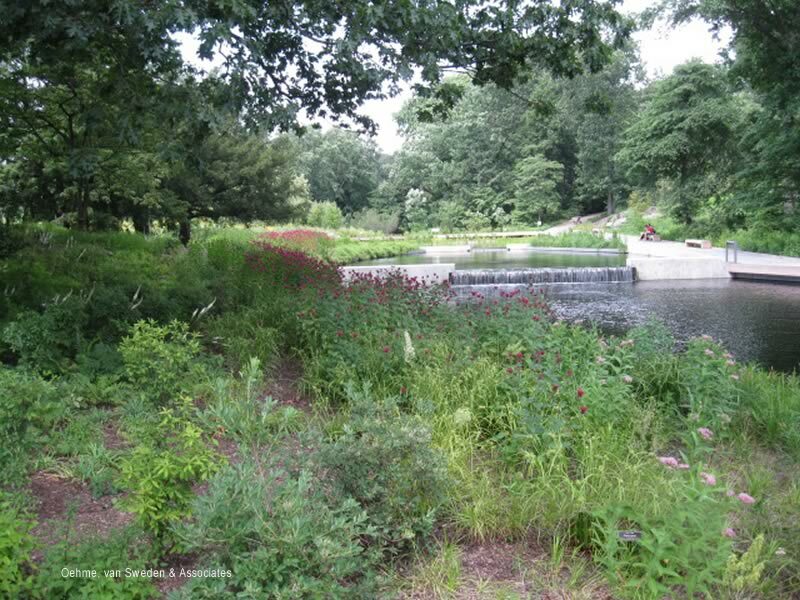 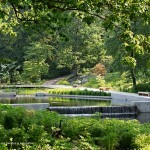 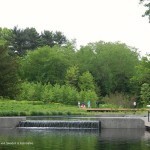 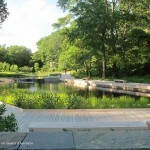 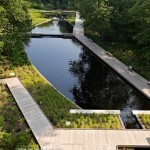 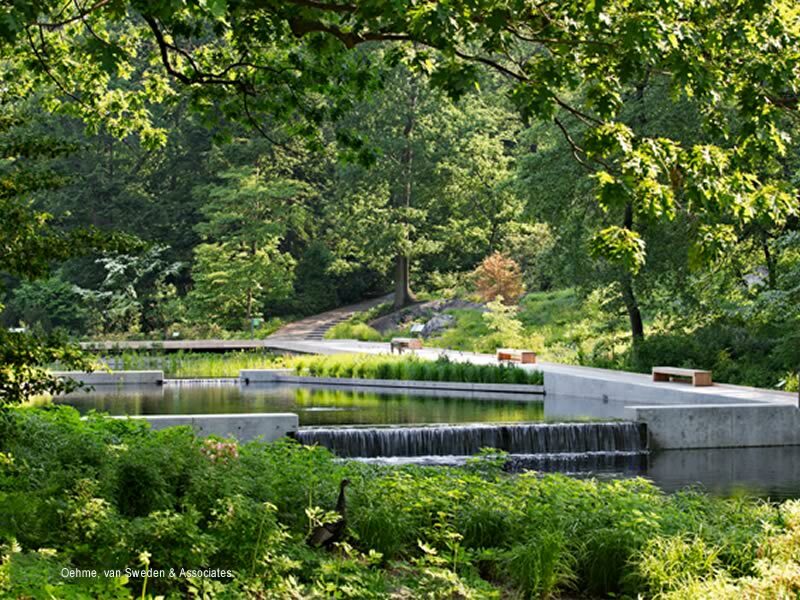 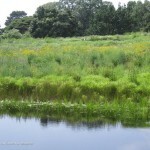 The Native Plant Garden at the New York Botanical Garden is a Pilot Project for the Sustainable Sites Initiative. 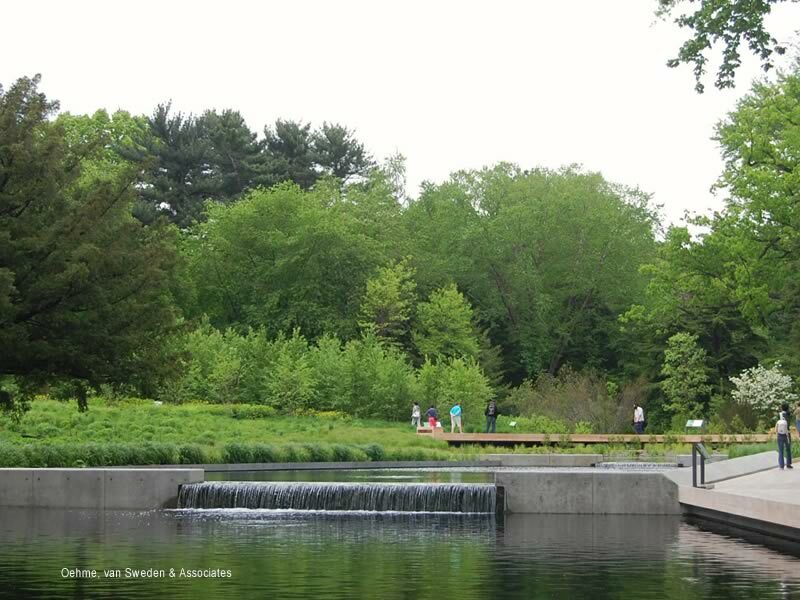 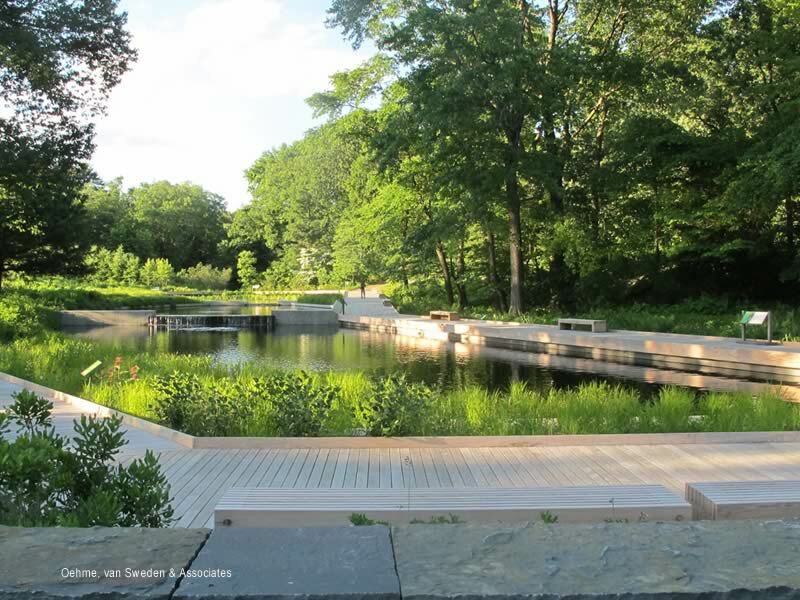 This 3.5-acre educational display sits in the heart of the garden and features woodland, meadow, and aquatic plantings encircling a three-tiered water feature. 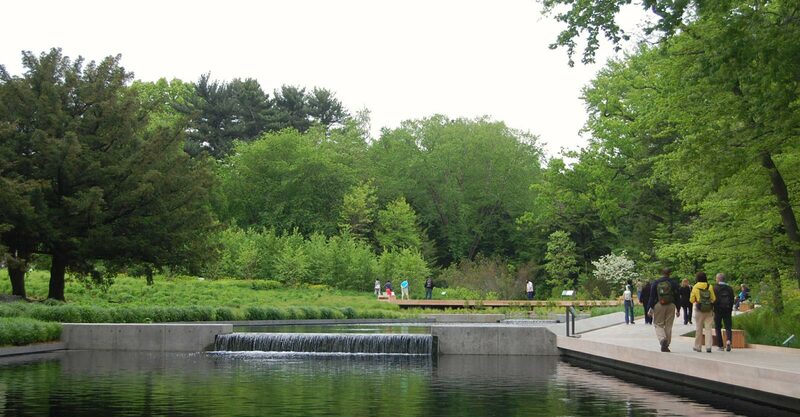 The uppermost pool is a beautiful wetland area of native species, which provides the majority of the water treatment for the water feature by using principals of ecology, naturally occurring beneficial bacteria, biological filtration and plant aeration to deny algae of vital nutrients. 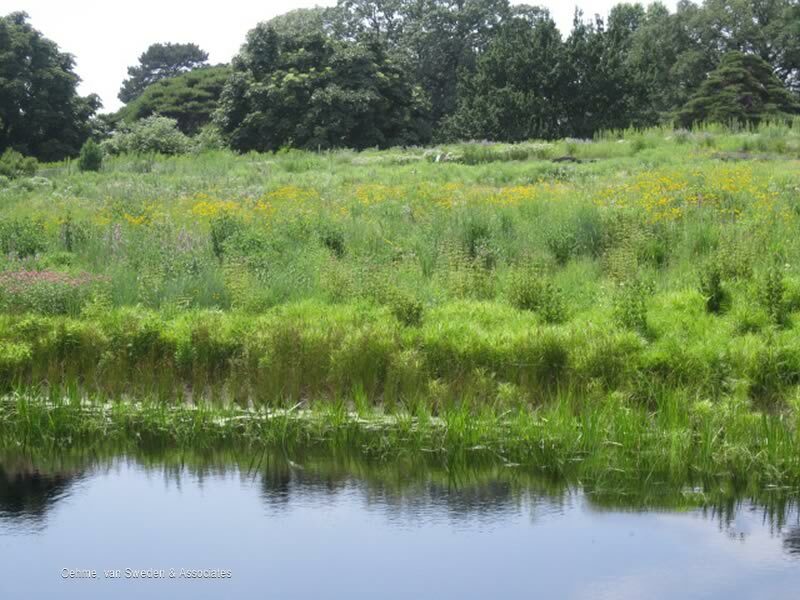 Clear water will tumble from the upper wetland into the non-planted intermediate pool and then into the more formal lower basin element. 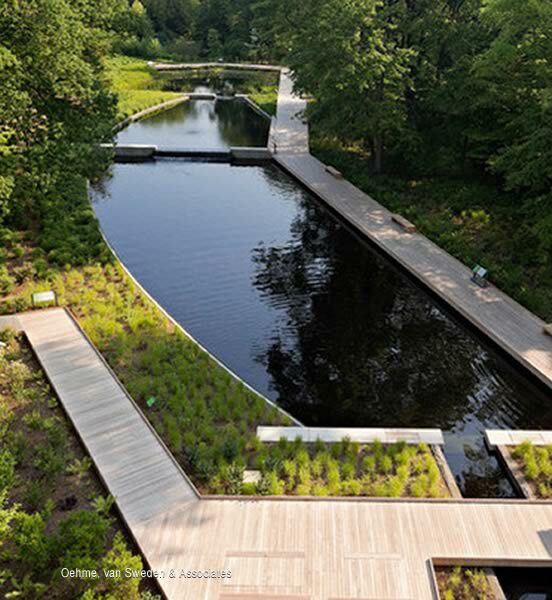 The ability to lower the operating level of the large lower basin when required provides the capacity for “on-demand” storm runoff retention—with the net result being zero off-site water runoff.